Do you have ideas, artwork, images, or photos that you want on t-shirts and other custom promotional apparel? That’s what we do, let us help you out! Power Apparel offers you the ease of printing your t-shirts and promotional products and apparel with our Direct-to-Garment, Vinyl Heat Transfer and Dye Sublimation printers. 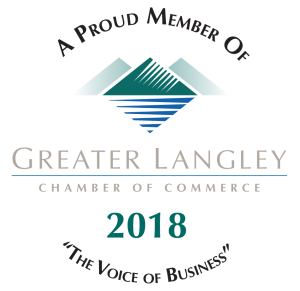 We are a proud locally owned shop, working in-house to serve Langley, Surrey and all the lower mainland. Direct-to-GarmentDirect-to-Garment or DTG Printing means that we print your images directly onto the garment. 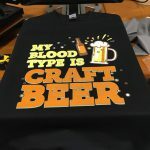 The t-shirt goes right on to the press and the printer brings your idea to life. This process allows you to have high quality, full colour designs at an affordable price. DTG printing offers extensive colour options that can be easily customized and allows you to print on demand. Vinyl Heat TransferDo you have simple graphics, shapes or numbers that make up your design and want to have clever effects, like glitter, foil, or glow in the dark? Then let us use Vinyl Heat Transfer to get you the look of screen printing but with the ease of a printer. Vinyl comes in a wide range of finishes, matte, glossy, or speciality, like foil, glitter or velvety. Dye SublimationDye Sublimation printing uses heat to imprint dye into full colour and photo quality images and prints those images onto both fabric and rigid materials, such as plastic, cards or paper. This type of printing yields beautiful and permanent colours that are embedded in the materials or fabric, rather than just printed on the surface, resulting in high quality and lasting prints. Come and visit us with your artwork. Bring us your completed artwork or work with our designer to bring your idea to life! Choose your apparel or materials. We have plenty of samples and examples on site to help you choose! Leave it to us! Power Apparel will print your ideas to life! Show some Team Spirit with branded uniforms, fan wear and fashion apparel! Power Apparel has the best options for a cost-effective to keep your team or group looking stylish and pulled together! Are you looking for ideas and personalization? We can help you with that too! Brand your Special Event or Fundraiser with Style! Power Apparel can help you with t-shirts to promote your event or promotional garments to sell to raise your funds! Either way we have a cost-effective solution for you and your supporters! Not all colour combinations work well together when printed. Don’t know what colours go well with your images? 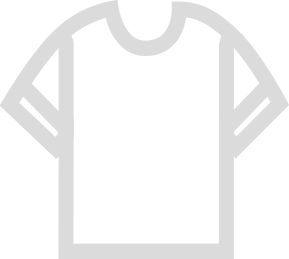 Power Apparel with help with choosing a garment for your custom needs and will help determine what brand or style goes best with your wants and needs. When you’re in business you want to stand out from your competitors, but you also want to bring your team together! Corporate apparel allows companies to improve their image among both employees and the public. We can help you with corporate apparel that represents your brand and budget! Custom t-shirts and apparel for your fundraiser gives your supports something back and expresses their support for your cause. When your supporters wear your custom apparel, they become walking promoters of your cause and help you to raise awareness to your fundraising!